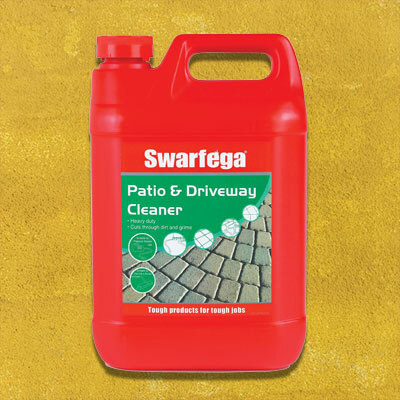 Swarfega Patio & Driveway Cleaner is a quick and efficient, easy-to-use cleaner that cleans outdoor surfaces, whilst also helping to reduce mould and algae growth. It can be used manually or through a pressure washer. It is high foaming for excellent surface coverage and is ideal for use with pressure washing equipment. Removes – Dirt, grease and grime from all outdoor surfaces. The built in sanitiser is ideal for reducing mould and algae and gives a deep clean and freshens all outdoor areas. Ready to Use – Without pre-diluting with water for maximum power and convenience.